Relationship Compatibility Cheat Sheet (Numerology Lesson 34) | Law of Attraction Plus: The Secret revealed! In the following lessons we will be looking at relationship compatibility more in depth. However in the meantime you might be wondering in terms of numbers, just who gets along best with who? In this newsletter we have created a bit of a summary of each number, and who is their best bet in terms of a relationship. Keep in mind that most relationship compatibility study is primarily based on the Life Path number (the sum of the birthday reduced to a single digit). The second most important number to look at in terms of compatibility is the Destiny Number (the sum of the full name value reduced to a single digit.) 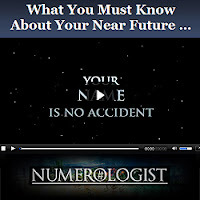 Most numerologists consider at least those two numbers when creating a relationship compatibility analysis. As you can see some of the numbers have the capacity to get along with more numbers than others. The hardest number to get along with is 4, which has more incompatible numbers than the other numbers. There are also many numbers (such as 6, 3 and 4) that simply have no middle ground - if there are challenges in a relationship it is next to impossible for them to work on them as they have instant likes and dislikes. Of course the above is just a brief guide to which numbers get along with each other. True compatibility studies are much more complex than this.